For Centuries, building construction has utilized the Master Builder process. One person, company or entity was responsible for the design, construction, and performance of any given building. The Parthenon was constructed using this process. During the Industrial Revolution, this process was separated into the specialties of design and construction. The design specialty utilized the expertise of an architect while the construction specialty utilized the expertise of a builder. In the 1960’s many companies realized the benefits of having the experts work together from beginning to end to create the best plans that suit the clients’ needs. The joint efforts of the Architect and the Builder comprise the modern Design Build Process. How can Design Build work for my project today? The more complex the project, the more your project will benefit from the Design Build process. The complexity of the design is addressed by the engineering team earlier in the process. This early address offers the opportunity to streamline and simplify where possible while the designs progress. It also gives the engineering team more time to incorporate the needed complexities to complete the project. Design Build has the potential to shorten the overall time-span of the project. While Design Build does not shorten the time spent on each task through the process, it does work on and complete many tasks simultaneously. When these tasks are accomplished together it can shorten the time needed to hold the building permit, thus reducing fees. It also reduces the lag time between the approval of the design and the beginning of construction. At Limberlost Construction the Design and Construction teams communicate with each other and work well together. 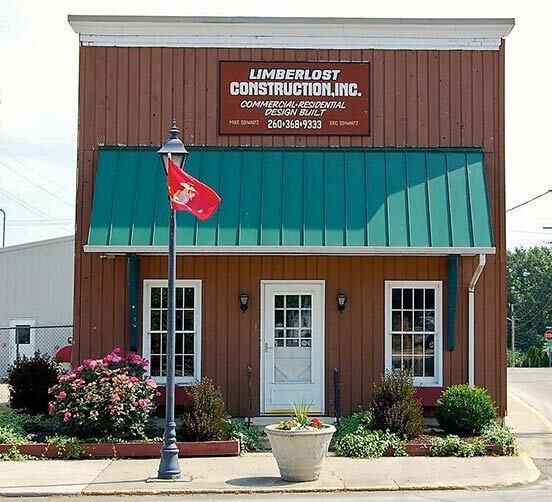 This teamwork produces well engineered plans from the beginning that encompass the client’s vision of aesthetics, usability and functionality along with Limberlost Construction’s high standards of quality and craftsmanship. In other words, our designers create plans that the construction crew can build, and that meet the client's goals and requirements.